Holdings in Twitter, Lyft, Euro Disney and Twentieth Century Fox; luxury hotels across the world; a tower under construction in Saudi Arabia that will soon be the world's tallest building. Or his opulent palace, where Business Insider once reported the prince kept "a group of dancing, laughing, joking dwarfs" in his entourage, occasionally tossing them around as sport like human shot putts. Vanity Fair's profile also retells - with some skepticism - the official story of how Alwaleed amassed his immense fortune. The prince was about 30, having returned from Menlo College in California with a business degree in 1985. "Alwaleed claims his father gave him $30,000. Within a year, he had lost the money. He went back to his father, who gave him $300,000. This time, it took him three years to lose it." Third time was the charm. Alwaleed's father gave him the deed to a house instead of cash, and told him "work for yourself." So he took a loan out on the deed, and with some shrewd investments (and his royal stipend, and the proceeds from hawking a $200,000 heirloom), the prince learned to become a self-made man. Others have speculated that his fortune owes more to the royal family's control of Saudi Arabia's oil, Vanity Fair wrote - or even that Alwaleed is "a frontman for the vast wealth of the Saudi royal family." In any event, the prince surged to the top of the billionaires list in early 1990s, not for any enterprise inside his family's kingdom, but by investing in a then-struggling U.S. bank, now known as Citicorp. From that point on, Alwaleed was a prince without borders. He worked with Stephen K. Bannon in the late 1990s. He sold a yacht to Donald Trump. At 62, The Associated Press reported, he's now one of the major shareholders in Apple, News Corporation and Twitter. But we're getting sidetracked by dollars signs again. In our defense, they suffuse almost every anecdote about the prince's personality, and his hard-to-pin-down politics. Alwaleed donated $10 million to help New York after the terrorist attacks on Sept. 11, 2001, Business Insider reported, for example. But Mayor Rudolph Giuliani turned the money down after the prince issued a news release criticizing the U.S. position on the Israel-Palestine conflict. 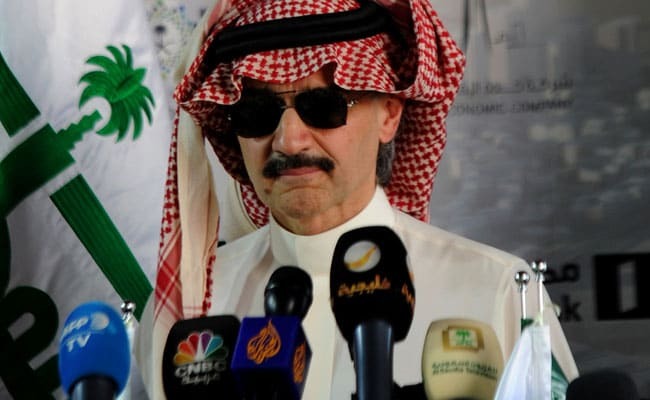 Seated in a recliner in shaded glasses at night, Business Insider reported, Alwaleed held forth to CNBC on the banking crisis in 2008. The same year, according to Forbes, he put on a ceremonial Saudi robe and took his personal Boeing 747 to the city of Jeddah. There he pitched his uncle, King Abdullah, on his plan to built a skyscraper more than a kilometer tall. "It will be the epicenter of Jiddah," the prince told Forbes. "It will be a magnet." The tower is slated to open in 2019. About midway through its construction, Business Insider ran an expose on Alwaleed's lifestyle at his headquarters in the capital of Riyadh. "Almost every source we spoke to, including Alwaleed's official spokesperson, confirmed that, like a medieval monarch, Alwaleed keeps in his entourage a group of dancing, laughing, joking dwarfs," the outlet reported in 2012. "One source called them 'jesters.' "
Not only did the prince hold occasional "midget-tossing" contests with these people, Business Insider wrote, but once invited his "jesters" to a business meeting, where he taught them the words "Boeing" and "Airbus," and had them decide which type of plane he should add to his personal fleet. In the face of bizarre accusations like this, Alwaleed has made great demonstrations of his concern for human rights - especially among the poor and women. "Can you believe this? It's horrible," he told Forbes while handing out cash-stuffed envelopes in a Riyadh slum. The same article noted that women who work for Alwaleed's offices are discouraged from wearing the veils they're forced to wear in public. And two years ago, following in the footsteps of Western billionaires like Bill Gates, Alwaleed promised to give away his entire $30-some billion fortune in the indefinite future - "to build a more peaceful, equitable and sustainable world," he told reporters. Others wonder if he has designs on the Saudi throne. That's one theory for why Saudia Arabia's crown prince - Alwaleed's cousin - had him and 10 other princes arrested on Saturday to face a "royal anti-corruption" committee, amid rumors that the king is preparing to step down. Could the globe-trotting, billionaire son of a dissident one day take the throne? "Sure," Alwaleed told Forbes. "The chain of command of people who could become king in this country is between the sons and the grandsons of King Abdulaziz. I am among them." "Alwaleed is the Donald Trump of Saudi Arabia," an expert on the Saudi royal house told Forbes that year. "He may be a symbol of success for some Saudis, but many others view him as being way too gaudy." But that was many years ago. Donald Trump is president of the United States now, and who knows what's in store for Alwaleed?